Itsuku-shima is another name of Miya-zima (refer to #073) and Itsuku-shima Shrine is on the island. Not a few tourists from abroad select this shrine as their favorite spot or the place where they definitely want to visit in Japan. 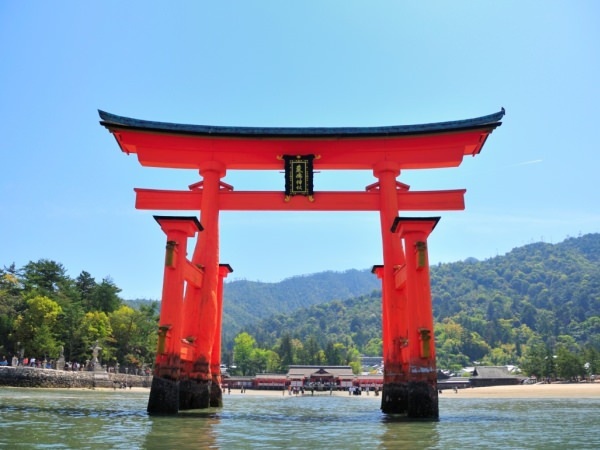 It is known worldwide for the giant torii (Shinto gate) standing on the water. Actually, not only torii but also shrine buildings stand on the water at high tide, so they have often been damaged by natural disasters and restored each time from ancient times. 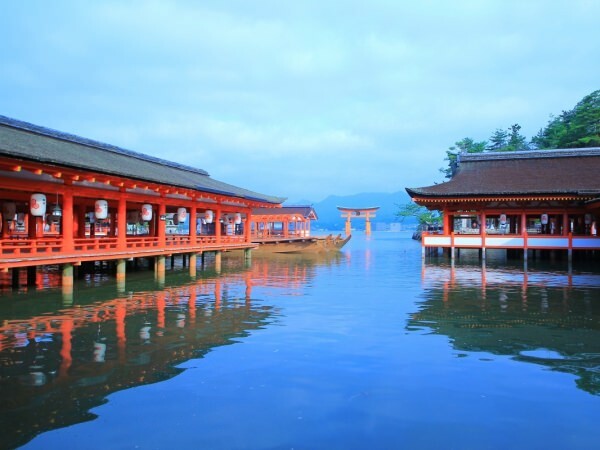 Itsuku-shima Shrine is listed as UNESCO World Heritage Sites (selected in 1996).